Club Penguin Cheats by Mimo777 Club Penguin Cheats by Mimo777: Club Penguin Updates Medieval Catalog! 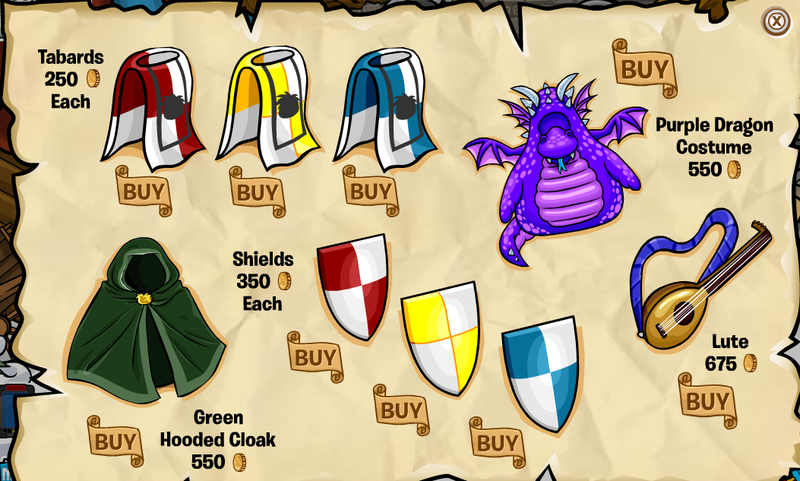 Club Penguin has updated the Medieval Catalog. Remember when the catalog had this "Coming Soon!" 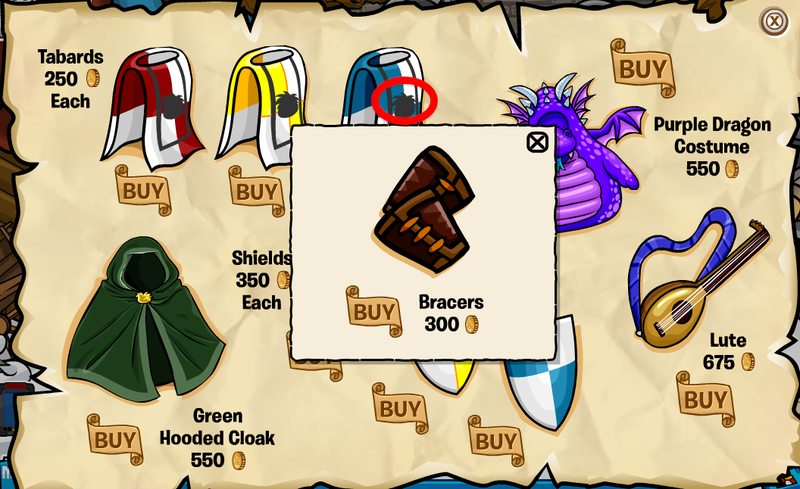 items? This cheat is still in the Catalog. You have found the Bracers cheat! 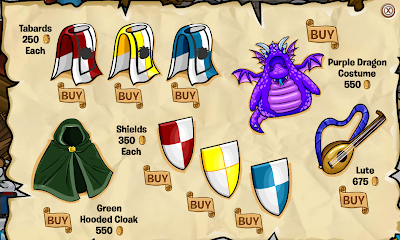 You now have the Purple Dragon Feet cheat! Sweet! Cool! 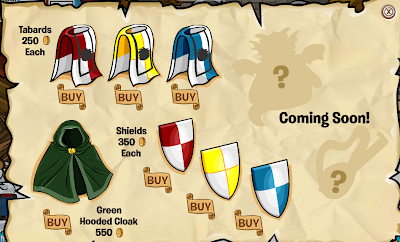 Glad Club Penguin has added more goodies, aren't you? I'm not sure I'm happy about the great new things. I have TOO MANY things I'd like to get rid of to make room. After a while it takes too long to look through it all. 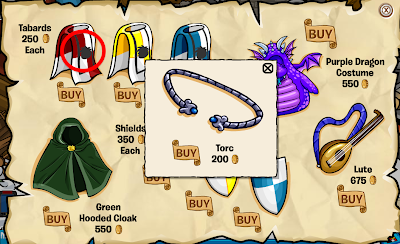 Is there any way to get rid of items you already bought? Sorry, but you can't get rid of the things you bought. So before you buy something, think about it first! Unfortunately, what you're experiencing is not CP's fault. This could be due to various problems, such as not clearing your cache, running multiple programs, or not updating your flash player.